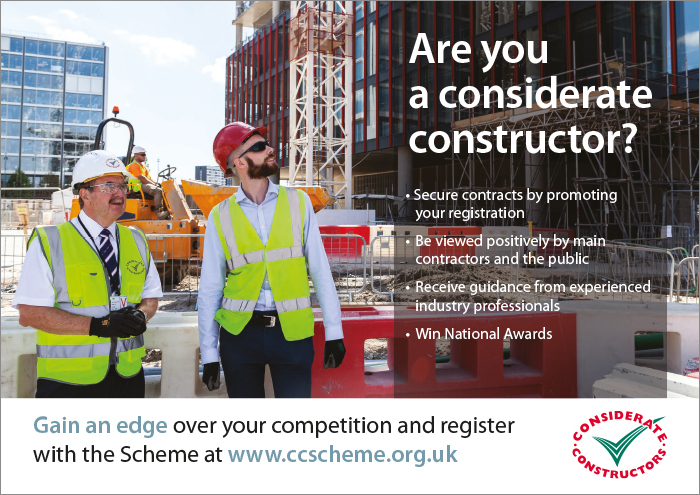 All registered sites are issued with information and material to be correctly displayed for the duration of the registration to show the site’s participation in the Scheme. 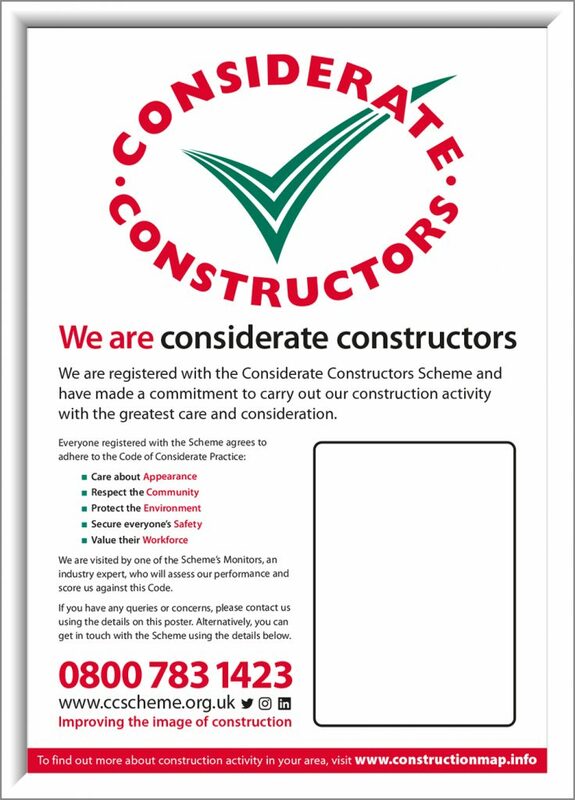 The A1 poster shows the public that this site is registered with the Considerate Constructors Scheme. 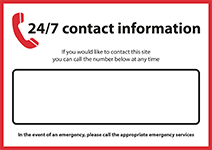 It displays the contact details for the registered site and for the Scheme. They should be displayed on the perimeter of the site, placed on hoarding, fencing or site entrances that are in a prominent position to allow members of the public to view them easily. 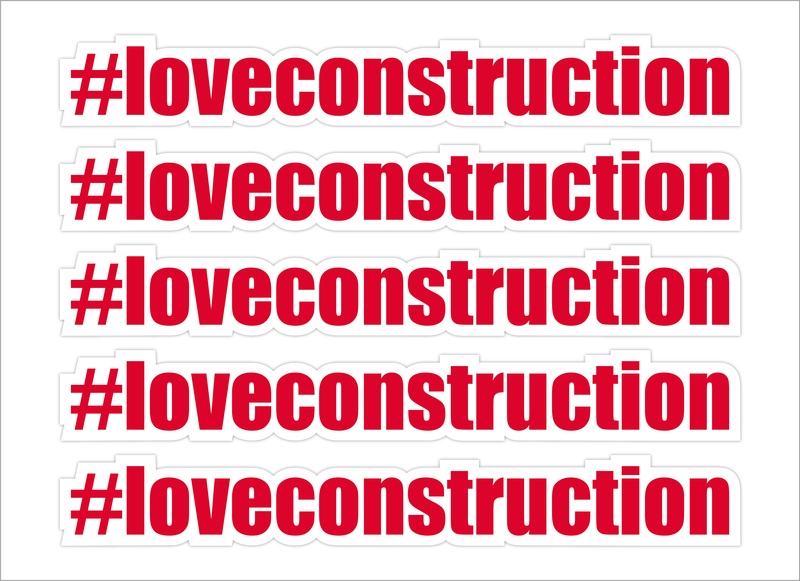 They must be displayed throughout the duration of the project. 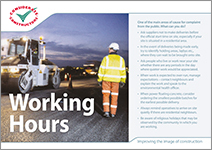 Additional posters are available from the administration office at a cost of £11.30 (+VAT) per poster. 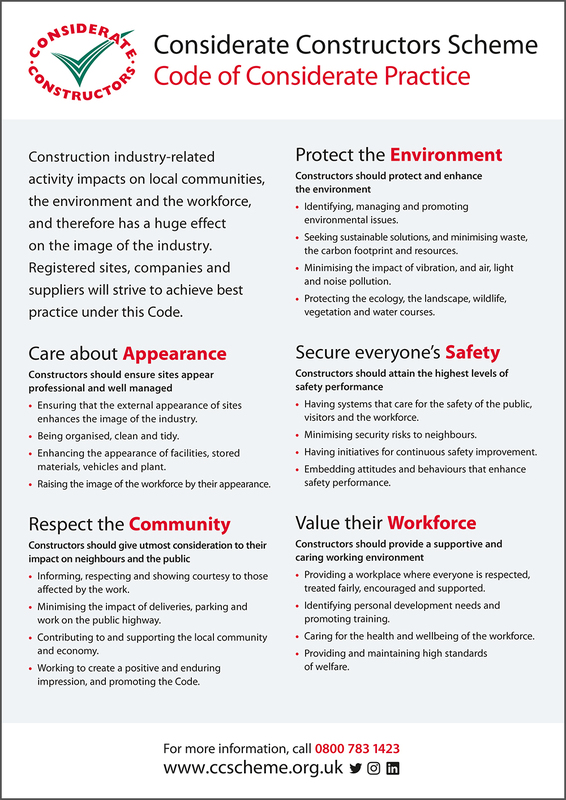 The smaller versions of the standard A1 poster are available on request at a cost of £4.50 (+VAT) per poster. 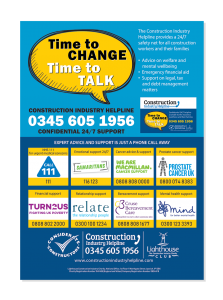 These smaller posters are designed to be used either on sites where large posters are impractical or unsuitable, or for a single registration that covers many smaller sites. A1 star rated performance posters show the public how your site has performed against the Scheme’s Code. 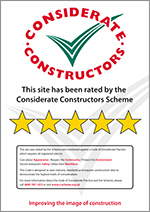 The posters display a star rating ranging from three to five, based on the score awarded to the site following the most recent Monitor’s visit. 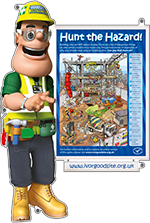 Star rated performance posters cost £11.30 (+VAT) each and can be purchased following a Monitor’s visit. 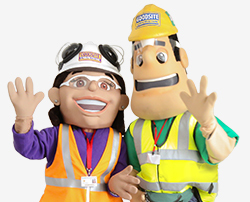 If they are purchased during the online registration of a site, they will only be dispatched following the Monitor’s visit and may incur an additional postage cost. 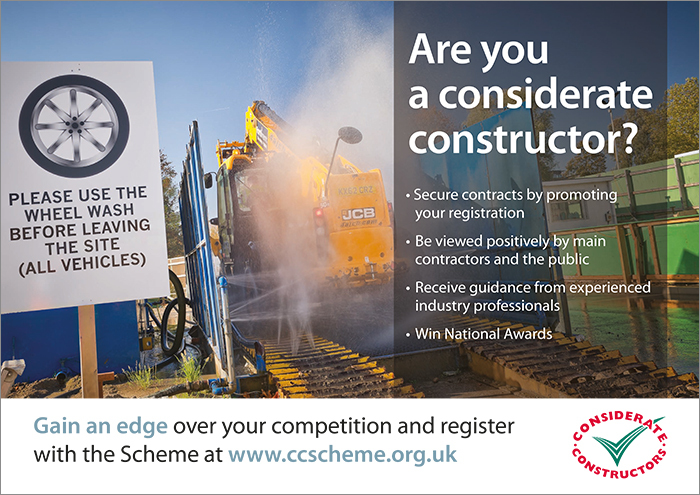 A1 snap open poster frames are available to purchase from the Scheme’s administration office for £54 (+VAT). 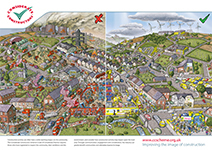 The frames can be purchased to be used for other material; they do not have to be used solely for the Scheme’s A1 poster. 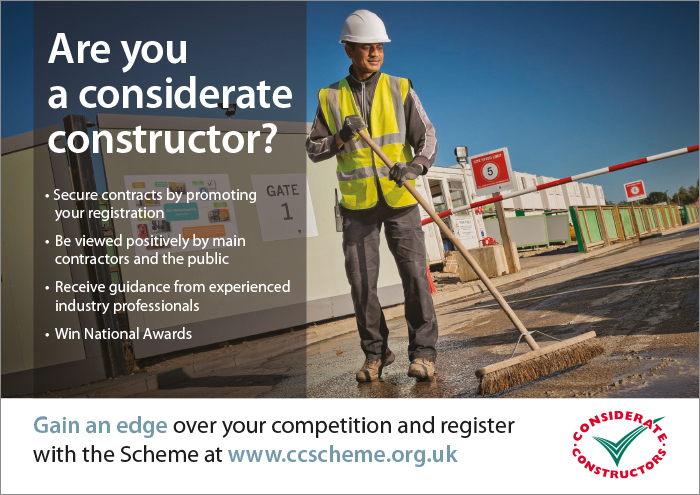 5mm thick rigid PVC site poster boards are a more robust alternative to the standard A1 poster and are available to purchase from the Scheme’s administration office for £23.10 (+VAT) in English or Welsh. 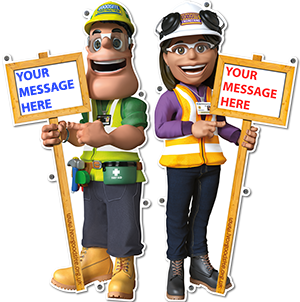 If a site would like to order all five banners which relate to the Code, they can be purchased at the discounted price of £236 (+VAT) for small, £308 (+VAT) for large and £1128 (+VAT) for mega. 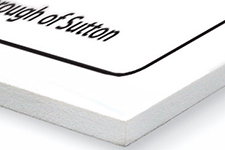 Please note that the set of five banners does not include the classic white design. 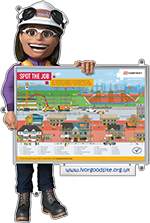 The purpose of the poster is to give an easy to understand, visual overview of the different areas of the Scheme’s concerns. 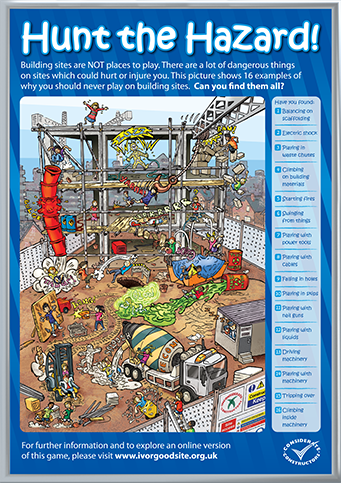 All sites are issued with one copy of the A1 site cartoon poster. 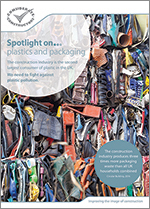 Additional copies are available free of charge from the Scheme’s administration office. 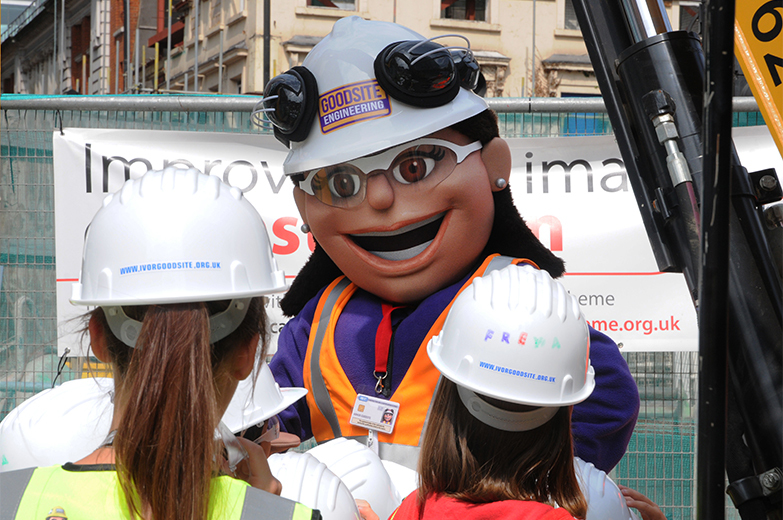 The site cartoon poster is intended for use inside the site only, and should not be displayed in view of the public. 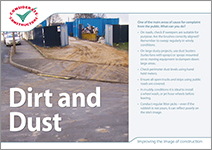 It should be displayed where it can be easily viewed by site operatives – ideally in a canteen or similar. 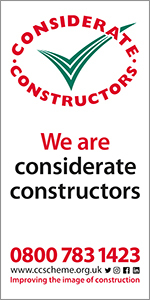 These measure 1.80m x 1.20m and are available from the administration office at a cost of £28.20 (+VAT) per flag. 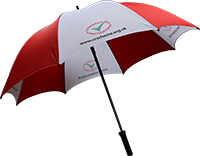 These measure 0.9m x 1.80m and are available from the administration office at a cost of £31 (+VAT) per flag. 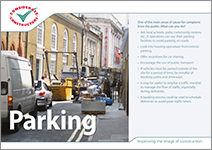 7m (6.15m above ground) two section aluminium alloy flagpole in a white finish complete with white truckhead, 1m rotating suspension arm, weight and ground socket. Flag not included. Maximum recommended flag size is 0.9m x 1.80m. 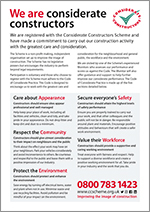 Operatives’ Handouts are available from the Scheme’s administration office at a cost of £13.40 for a quantity of 50. 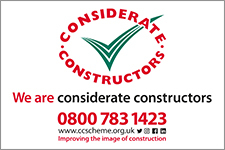 Please call the Scheme if you require greater quantities at a discounted rate. 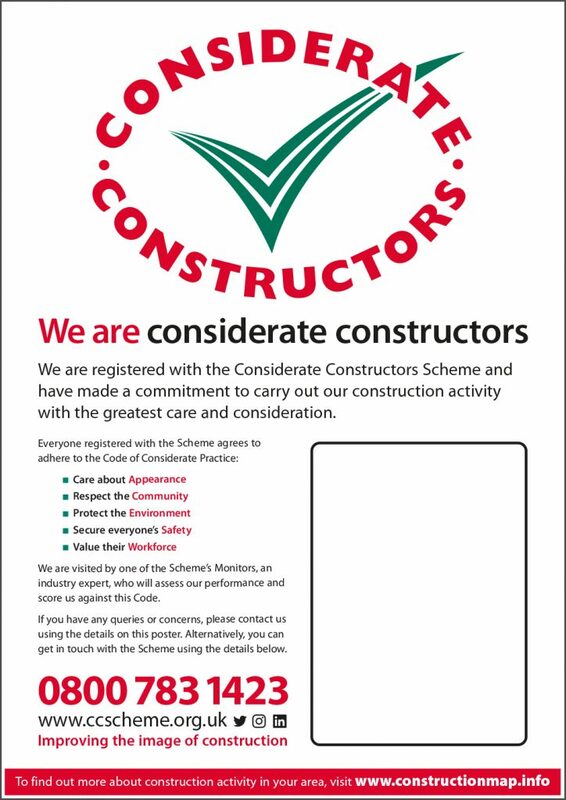 The flyer is designed to be given to anyone who may be affected by the activities of a registered site. 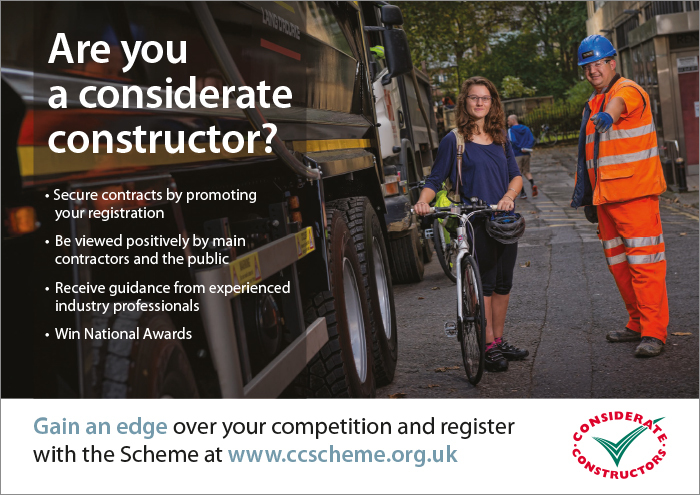 It explains what the Scheme is about, confirms what is expected of those who choose to register with the Scheme, and promotes your site’s commitment to the Code of Considerate Practice. 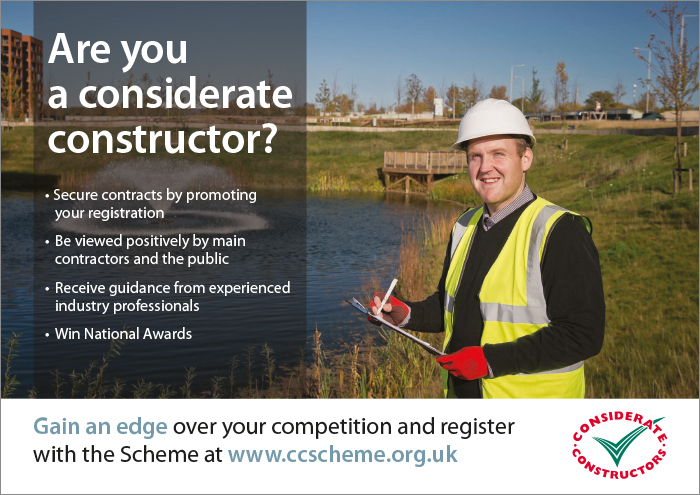 Please call the Scheme’s administration office for more information on costs. 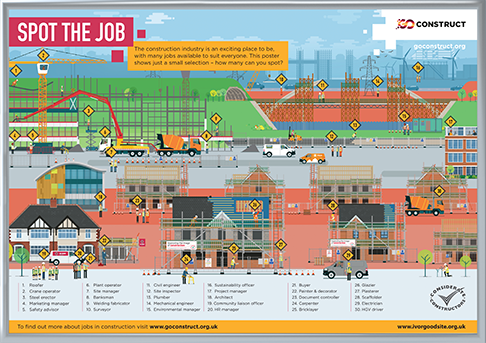 This Correx A1 poster is a more portable version of the above ‘Spot the Job!’ site sign and is to be used for educational visits which can then be left behind as a souvenir or it can be displayed on site hoardings. 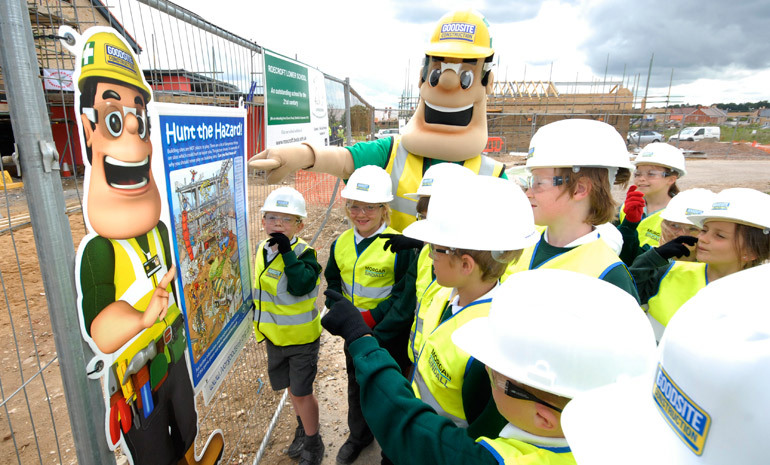 It displays a fictional construction site and shows a number of different jobs for children to spot. 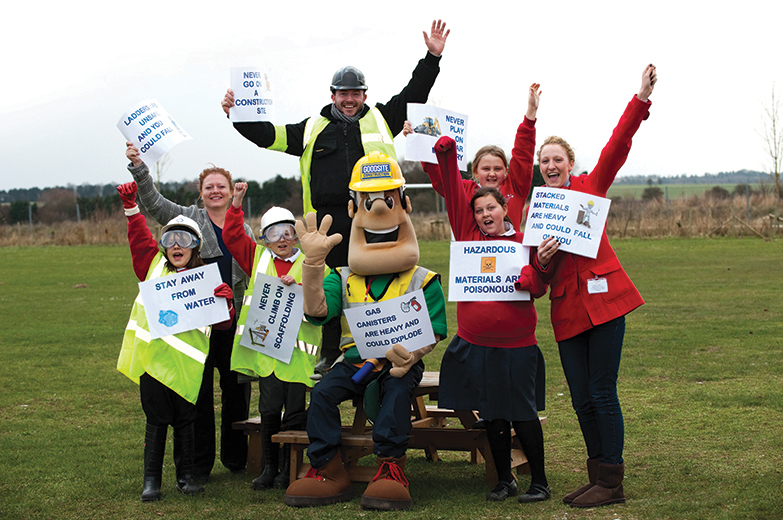 The signs feature a space for contractors to place their own messages to promote site activities and initiatives, and keep local residents up to date. 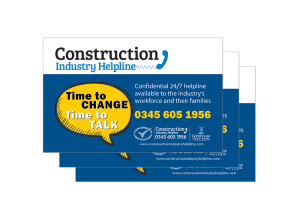 When you select to purchase a Helpline Pack, one will automatically be assigned to your site based on the contract value with details on what is included and the cost. 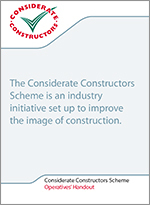 The Scheme offers a number of support tools which registered sites can use to assist them with their registration. This section now contains the induction presentation, the Scheme’s films and the Good Neighbour questionnaire.